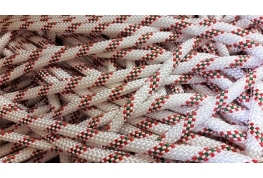 10mm Braided Nylon Rope. Production overrun on a special order hence very low price. This is a quality rope conforming to DIN EN1891 form A & B.